The 2016 Rio Olympics concluded on Sunday with the Florida Gators bringing home 11 event medals including six gold, three silver and two bronze over the course of 19 days worth of action in Rio de Janeiro, Brazil. In an effort to highlight the Gators’ praiseworthy accomplishments while simultaneously recapping over two weeks worth of athletic action, OnlyGators.com presents this wrap up of the presence that Florida’s athletes made at the Olympics. Below you will find facts, figures and highlights of what the Gators accomplished from Aug. 3-21. You can check out the Olympic results as they happened as well as the official Gator Nation vs. 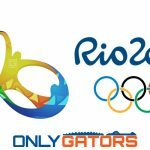 The World medal count and plenty of other information by checking out OnlyGators.com’s Live Coverage of the 2016 Rio Olympics. » A total of 30 former Florida athletes competed in 44 separate events across four sports — swimming, track & field, volleyball and golf. » If the Gator Nation was its own country, it would have ranked in a tie for 22nd overall (with Jamaica) in the final Olympic medal count both in weighted and grand total calculations. 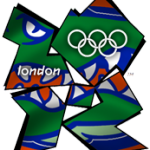 » Though the Gators won more gold event medals in 2016 (six) than they did at the 2012 London Olympics (four), they finished with just 11 medals overall compared to 16 four years ago. » Eleven Florida athletes won a grand total of 13 individual medals (11 event medals) for three countries. Nine of the 11 medals were won for the United States (including all six golds) with one each won for Great Britain and Jamaica. » 36.6 percent of the Gators that competed in the Olympics (11 of 30) won at least one medal, which just slightly edges the 35.3 percent mark from 2012. » Caeleb Dressel (swimming, United States) and Conor Dwyer (swimming, United States) led the way with two medals each. Dressel won two relay golds, while Dwyer won a relay gold and individual bronze. 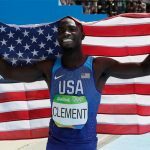 » Individual gold medals were won by Kerron Clement (track & field, United States) and Christian Taylor (track & field, United States). Relay gold was also won by Ryan Lochte (swimming, United States) — who teamed with Dwyer — and the duo of Arman Hall and Tony McQuay (track & field, United States). » Silver medals were won by Will Claye (track & field, United States), Dan Wallace (swimming, Great Britain) and Novlene Williams-Mills (track & field, Jamaica). Dwyer was joined by Kelly Murphy (volleyball, United States) with a bronze. » Sixteen countries were represented by Gators, including 13 that did not win medals including Australia, Bosnia, Croatia, Colombia, Germany, Iceland, Italy, New Zealand, Poland, Puerto Rico, South Africa, Spain and the U.S. Virgin Islands. » Sports in which Florida athletes competed in which they did not in 2012 include volleyball and golf. On the contrary, Gators athletes did not compete in soccer, tennis, women’s basketball, as they did four years ago. » The full roster of athletes, along with the medal count and more can be found on our tracker. On a personal note, I would like to express my appreciation to all of you who cared so much about the Gators competing in the Olympics that it made a painstaking endeavor into an incredibly rewarding and fulfilling experience. 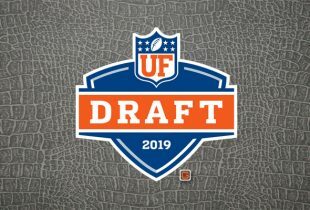 I also want to thank you for understanding and respecting the perspective that OnlyGators.com took on covering Florida in these Olympics, counting only athletes who were either current or former representatives of the school and had not transferred to another institution. It was also important to me to tally the Gator Nation vs. The World medal count according to Olympic/international weighted standards and not double-count medals for relays in which multiple Gators competed.